One of God’s best blessings to us is that we cannot see the future. To do so would rob the best surprises that await us of some deep joy even as it could easily cast us into danger and even despair as we agonized over difficult waters that we have no need or strength yet to navigate. That said, as I write today, I wonder how tomorrow’s vote will go. By the time you read this, we’ll all know, and the election will be old news. Oh, you didn’t know an election was being held tomorrow? Well, for you, it’s probably not. Nor for me. I have little right to an opinion (although if I wanted a hyphen, I’d be by ancestry an English-American, but I don’t, and I won’t push that!). 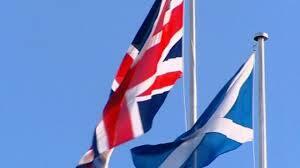 I do think the Scots should have the right to make the decision. And, of course, Texas did indeed secede at one point, but the federal government was pretty ticked off about it. All of that just jumped to my mind when I read about the referendum in Scotland. The decision is theirs. I just hope they make the right one and stay put. Partly because I love Great Britain, if for no other reason (and there are many) that when England fought alone against the Nazis for over two years, she paid a horrible price, and the world will always be in her debt. What’s bad for England, I do not like. Partly because “independence” may be the Scots’ decision but it holds massive consequences for the British, European, and world economy, for Britain and the world militarily (NATO, nuclear weapons, ports, and oil), and the global fight against terrorism, and more. I mean, really, could you find a more stupid time to do anything, even in the name of freedom, that makes free nations weaker? I hope Scotland’s voters have enough sense to realize that being free means at times willingly curtailing your freedom to help freedom’s larger cause. I like it when on rare occasions we see people celebrating what really unites them. It blesses us all when free people actively choose to be more united and not more divided. Jesus will love the Scots whichever way they go, but even a very quick look at John 17 will show exactly what our King’s will is for unity in His kingdom. No election needed. This entry was posted on Monday, September 22nd, 2014 at 10:31 am	and tagged with England, Faith, Great Britain, Scotland, Scottish Independence, unity and posted in Uncategorized. You can follow any responses to this entry through the RSS 2.0 feed.